Master Europe's most innovative satellite infrastructure! This video course is a detailed walkthrough guide of the European Space Agency (ESA) Sentinels Application Platform (SNAP) software. A common architecture for all Sentinel Toolboxes is being jointly developed by Brockmann Consult, Array Systems Computing and C-S called the Sentinel Application Platform (SNAP). The SNAP architecture is ideal for Earth Observation processing and analysis due the following technological innovations: Extensibility, Portability, Modular Rich Client Platform, Generic EO Data Abstraction, Tiled Memory Management, and a Graph Processing Framework. This video course is structured in a way to get easily familiar with the software. Real Sentinel-1 (SAR) and Sentinel-2 (Optical) images are used during the entire course. The functionality and modules of SNAP are applied on these images in order to understand exactly how to operate SNAP! Just follow the steps described in each video course and you will become a SNAP expert in a fraction of time! Enhance your knowledge of Earth Observation and Remote Sensing along the way! Check out the curriculum for the detailed contents of this video course! 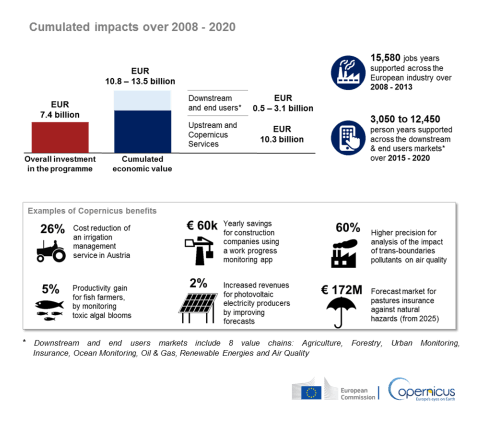 According to the "Study to examine the socio-economic impact of Copernicus in the EU", more than 10.000 related jobs will be needed! Become an expert on SNAP now and tap to the fast growing Earth Observation Downstream market! I'm a Remote Sensing and a Surveying Engineer. I received my degree from NTUA in 2010, where I also received my Ph.D. in hyperspectral remote sensing in 2016. From graduation in 2010, my career started as a Researcher Associate and Teaching Associate in the Laboratory of Remote Sensing of NTUA. From that time I also worked at several private companies as a Remote Sensing Expert and Geospatial Analyst. From the beginning of 2015 I was positioned as Senior Earth Observation Expert. During these years, I have participated in more than 20 funded European Commission and European Space Agency projects, have over 16 peer reviewed scientific publications in the field of Remote Sensing, and have an international patent in hyperspectral data compression.My main research and professional interests are in the optical remote sensing area, where I specialize in data (images, point measurements) processing and algorithm design and development. Some of the software tools that I operate to accomplish my research and business dreams are SNAP, ENVI, IDL, QGIS, ERDAS Imagine, ArcGIS, and Python. I have been working with these tools since 2008.